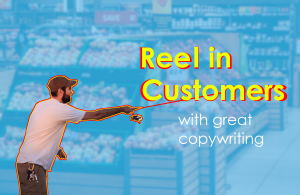 Most businesses focus on optimizing their website for Google, because… well, it’s Google. It’s everywhere. From Maps to smartphones and self-driving cars, Google seems to be taking over the world. But could you be missing out on customers by ignoring Bing? Let’s look at the numbers. StatCounter and NetMarketShare estimate that Google may control 80-87% of searches on desktop and 95-96% on mobile! That comes out to about 3.5 billion searches per day. 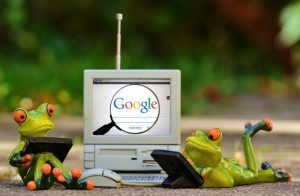 If you had to pick just one search engine to focus your SEO and advertising efforts on, Google is your best bet. Bing runs on every new Windows computer by default (through Cortana and Microsoft’s Edge internet browser), and some people just won’t ever bother to switch. It also powers AOL search and about 50% of Yahoo search. In total, Bing claims to have 134 million unique searchers and 5 billion searches per month. Also, Cortana will soon be found in some Nissan and BMW vehicles, further expanding Bing’s reach. These figures are nothing to scoff at. 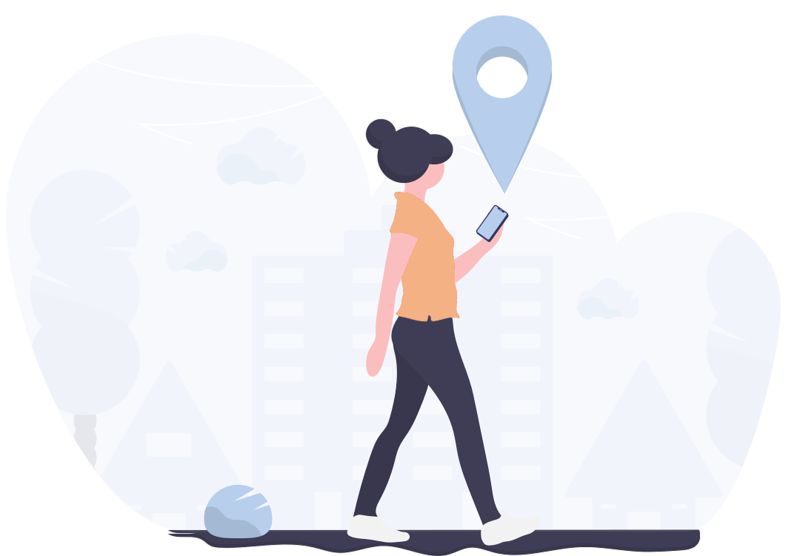 At the very least, you should submit your website to Bing Webmaster tools and Bing Places so that people can find your business when using Bing. Set it and forget it. In addition to search volume, Bing also publishes demographic data for its users in the United States. Let’s dive in and see if your customers are using Bing. The following diagrams come directly from Bing and can be found here. 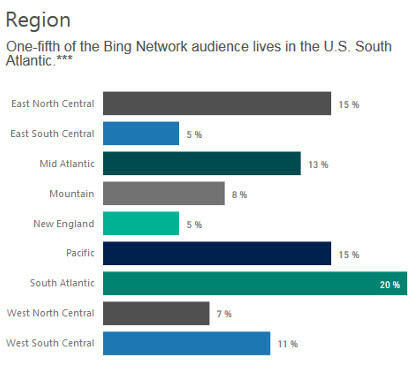 One-fifth (20%) of Bing users live in the South Atlantic (Delaware, Florida, Georgia, Maryland, North Carolina, South Carolina, Virginia, West Virginia, and Washington, D.C.). If your business happens to target that region, then Bing may be an excellent option for you. If your target customers are in New England, however, you probably shouldn’t bother since only 5% of Bing users come from that Region. 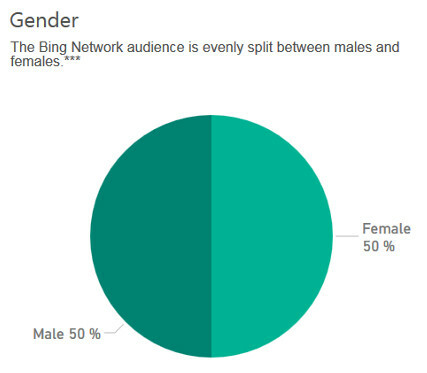 Bing users are split evenly between male and female, which is also true of the US population as whole. So, you don’t get any particular advantage with Bing if you are trying to market products specifically meant for either men or women. 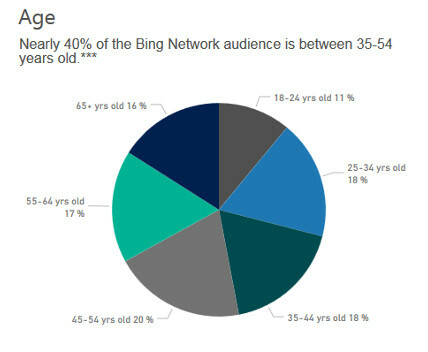 More than 70% of Bing users are over the age of 35. 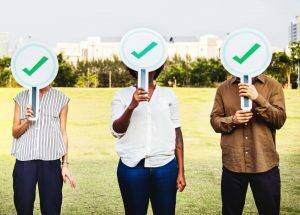 So, if you are a business working with the age 18-24 group (such as a recruitment agency targeting recent college graduates), you are probably better off using other marketing channels instead such as social media. If instead you are advertising retirement communities, then you may benefit from using Bing to reach the 33% of its users over the age of 55. 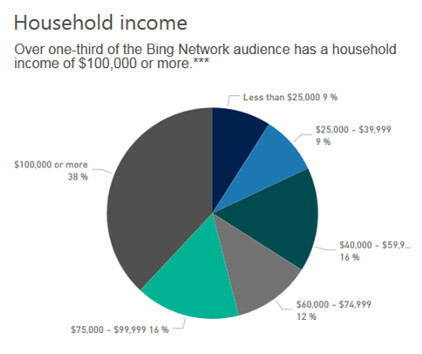 Bing users are relatively wealthy. More than 54% have a household income above $75,000 while 38% of those are above $100,000. To put that in perspective, the median household income in the US is around $56,000. So, if you are selling luxury goods (e.g. sports cars or high-end fashion accessories), then Bing might be great for you. Less than 9% have an income below $25,000. So, if you’re a nonprofit or public defendant that provides services for poor households, Bing may be a waste of time. 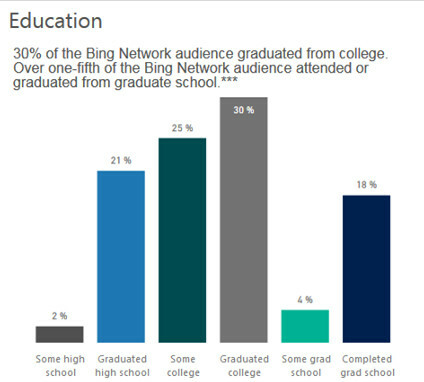 Lastly, Bing users are fairly educated. 98% have graduated high school while over 75% have attended at least some college. If your business offers GED prep courses, for example, then Bing is probably not the best marketing channel for you. 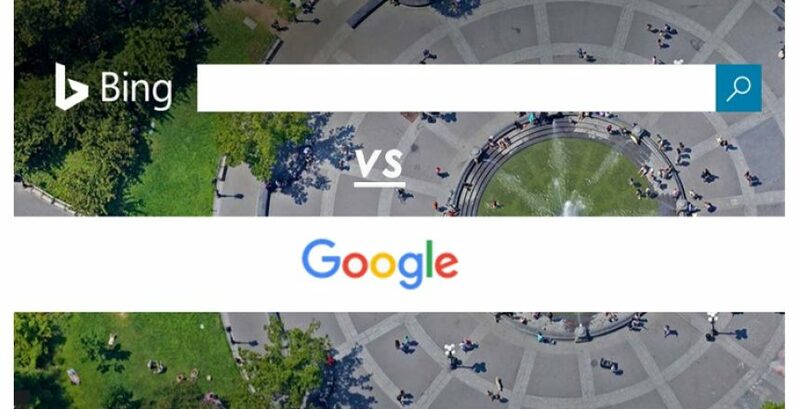 How would you answer the Bing vs Google question for your business now? Hopefully this article has helped shed some light on the decision for you. Don’t forget to share the article if you found it helpful. Also, get in touch with us if you’re looking for SEO services. Zak & Zu Marketing is a Bay Area digital marketing agency that works with businesses and nonprofits worldwide.